Beautiful and inexpensive universal phone stand. 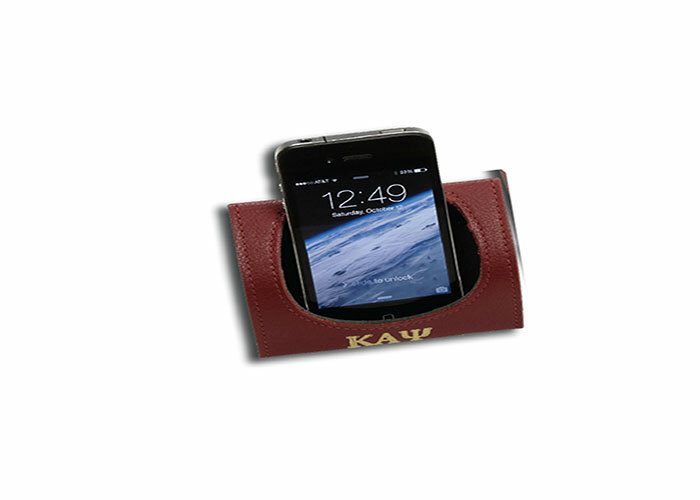 Perfect for placing your smart phone in a smart position above your logo. Standard colors are black, navy, forest green, burgundy. Other sizes available. Hundreds of optional colors and leathers available. Imprint Area: 1/3 x 3"